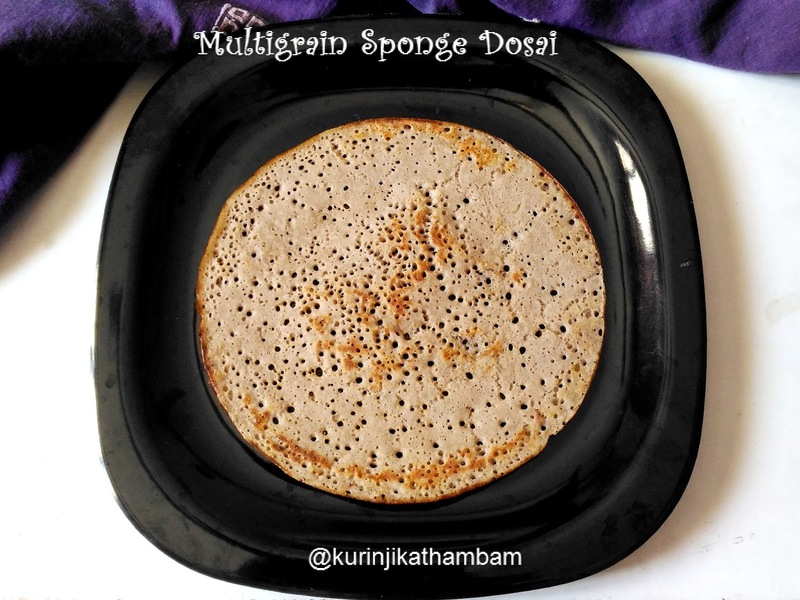 Multi grain sponge dosa is the most easiest recipe using the multi grain flour described earlier. This can be a good variety to the normal rice dosa which you prepared regularly. 1. In a wide bowl, add idli batter, multigrain flour and salt. Mix them well with balloon whisk or ladle. 2. Add water little by little and mix them gently. Add water till you can get dosa batter consistency. 3. Close the lid of the bowl and leave it for ½ an hour to 2 horus. 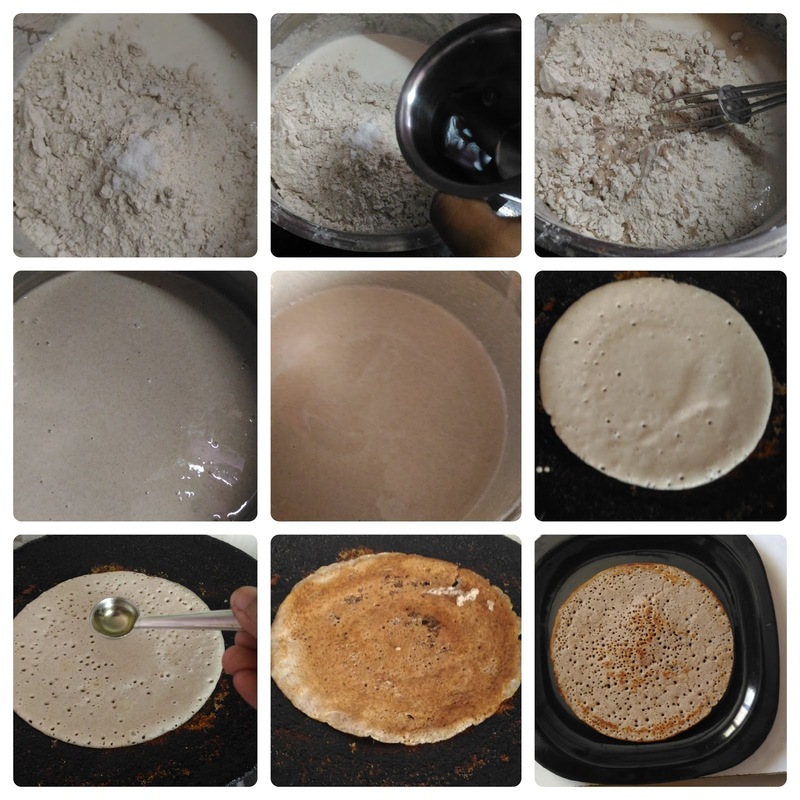 Your multigrain dosa batter will be ready to make dosas after 2 hours. 4. Heat the dosa tawa and pour ladle full of batter. Then spread the batter into thick circle using the backside of the ladle. 5. Pour ½ tsp of oil over the dosa and allow it to cook. 6. Once cooked, then turn over the dosa and cook till it reaches golden color on both sides. Healthy and tasty dosa is ready to serve. Serve with tomato or onionchutney. 1. 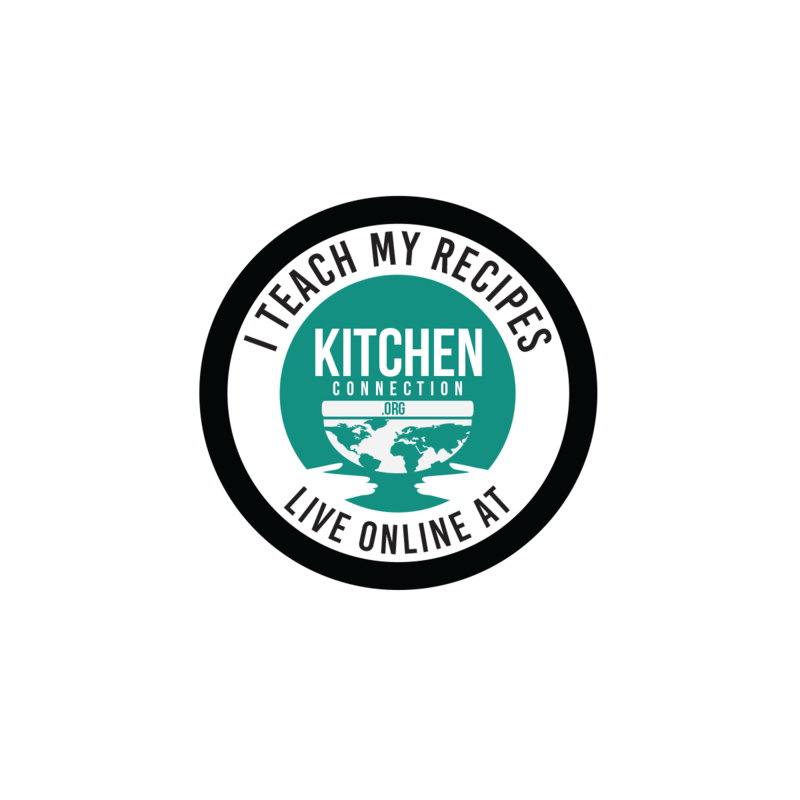 Add salt for multigrain flour only because the idli batter already have salt. 2. Even though half an hour of soaking is enough for multi grain batter. The more the time you keep the batter, better the dosas sponginess would be. Nice variation of dosa for a change .. and healthy too.